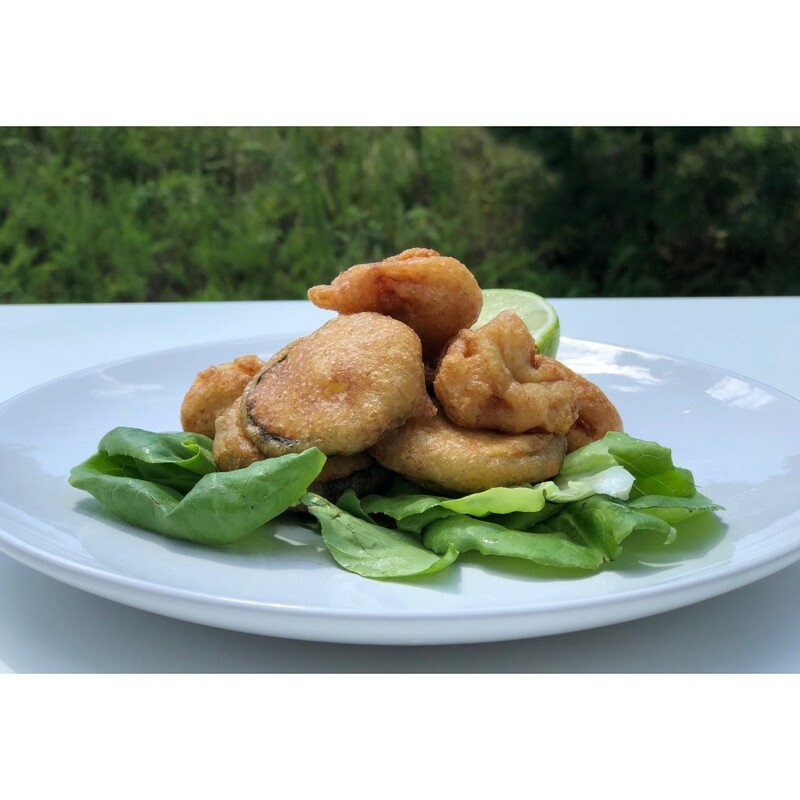 Low carb tempura batter with just .5 net carbs per serving! Easy to make with delicious results! 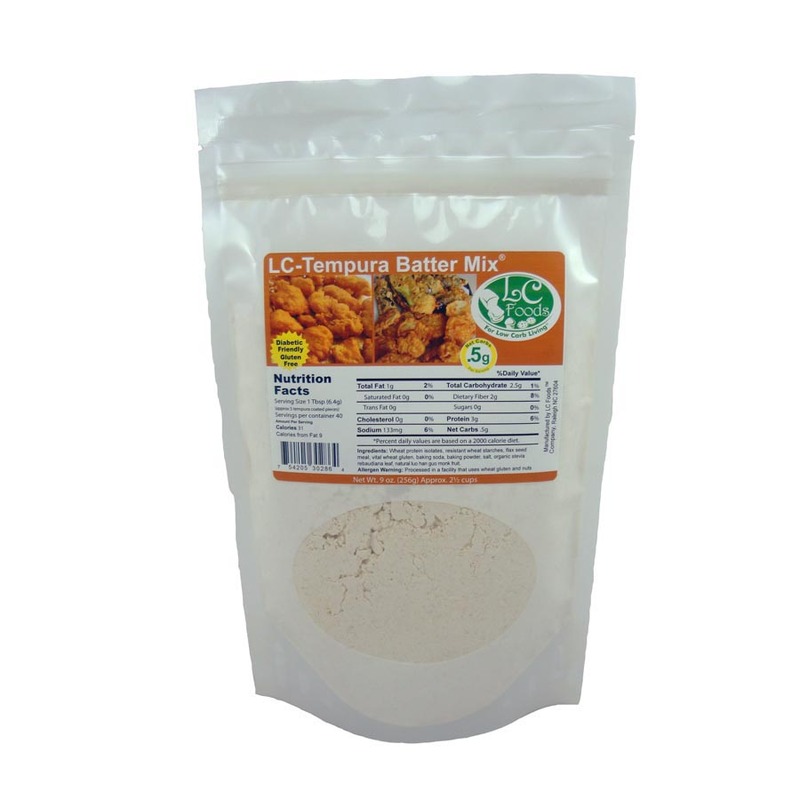 Our low carb tempura batter makes a delicous, light bread coating for frying all your favorite low carb meats and veggies. Dip and fry onions, green beans, snow peas, eggplant, peppers, carrots, asparagus, zucchini, broccoli, mushrooms, squash, cauliflower, fish, chicken, shrimp or scallops. 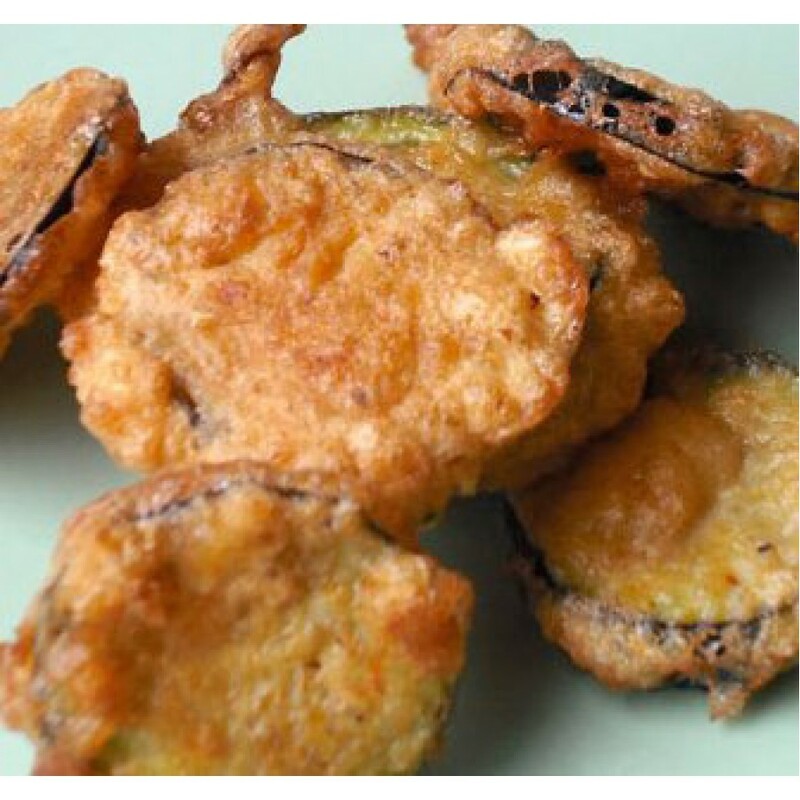 Super easy to make - simply mix together with water and an egg, and voila - the best low carb tempura batter you can enjoy while maintaining your low carb lifestyle! Enjoy a night of tempura cooking that the whole family will love. Great for making chicken nuggets or tenders, sure to please everyone, young or old! You'll get a healthy dose of dietary fiber and protein with each serving. As with all LC Foods low carb products, there's no sugar added (of course!) and no preservatives! Excellent breading! We made fried chicken! Perfect! I was so thrilled when I found this tempura mix and more thrilled when it actually tasted great. I like to make the batter and add salt, Cayenne pepper and onion powder. Depending on what mood I'm in. I will use extra dry mix and powder cod pieces in it and then the batter. 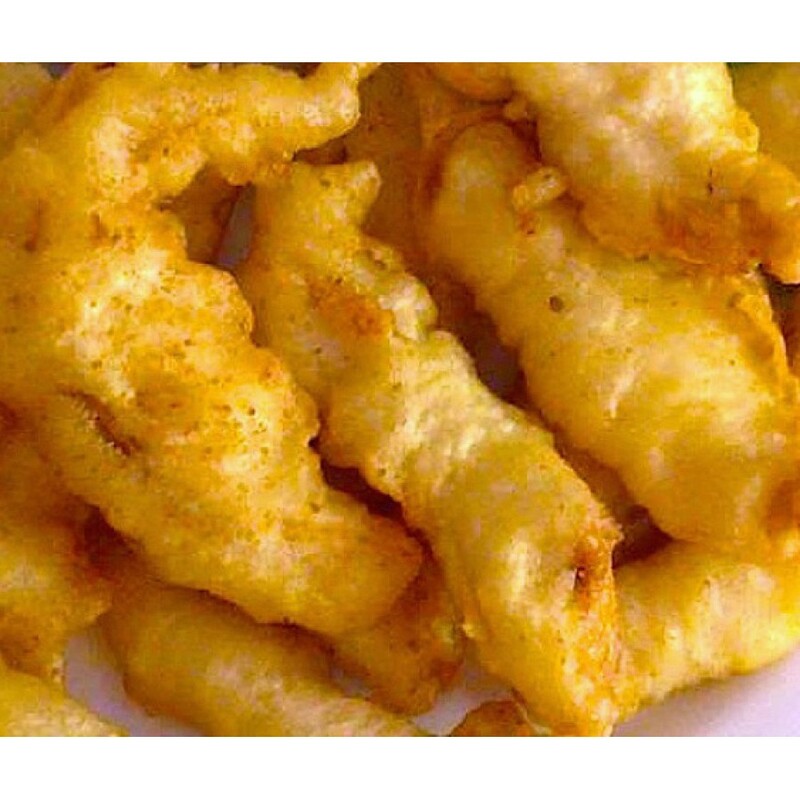 (The batter sticks better) I fry the pieces in vegetable oil browning nicely. I will usually bread the whole cod because it taste great leftover when you heat in the oven and crisp up. I dip the cod in a tarter sauce made of good mayonnaise mixed with sugar free relish. It is great! And low carb! 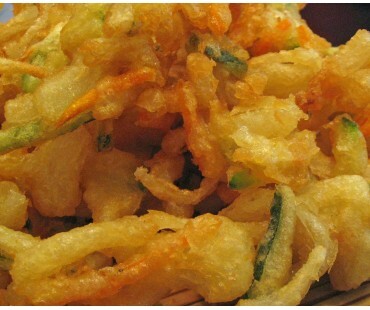 I am very picky about Tempura and really missed it when I went LC. The flavor of this batter is excellent, but I don't find it crunchy or crispy like traditional Tempura batters. It is more flaky and crumbly and falls off the food easily. 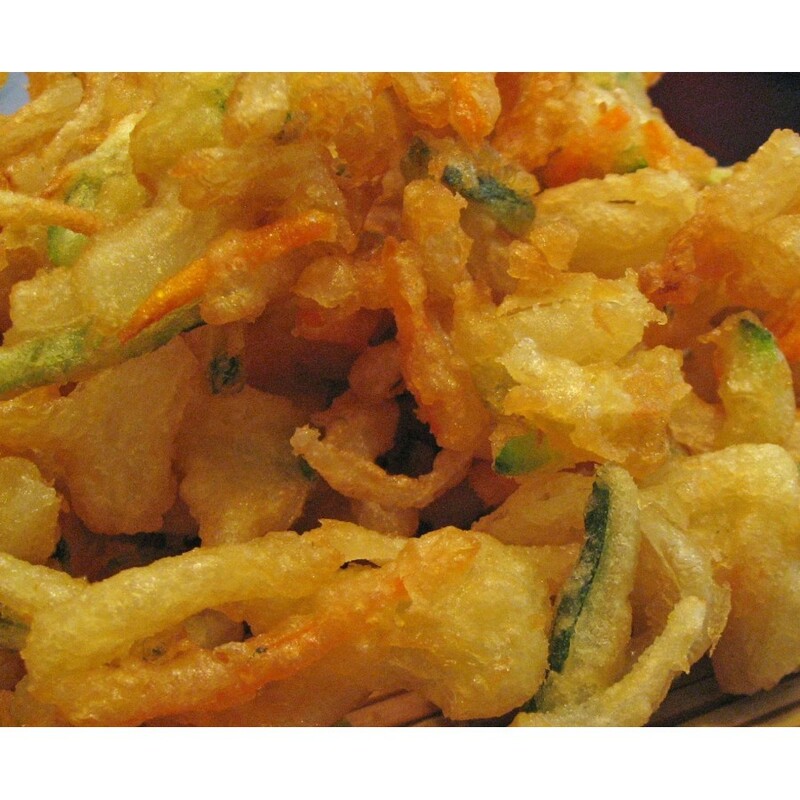 I may be doing something wrong, but I've been cooking Tempura and fried foods for years. However, I DO agree with others that it is a great LC alternative without any of the nasty taste of many other LC alternatives. I totally have to agree..this is one awesome batter..I used it on Cod fish and mushrooms and onion rings and let me tell you that my bf also loved it...this is one awesome product!!! 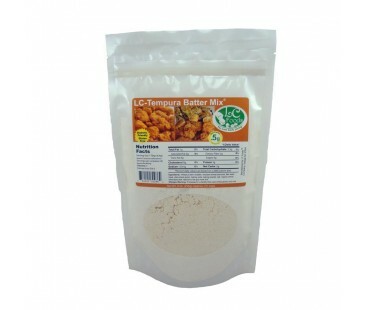 OMG I tried this batter on some mushrooms tonight and the batter was great..i added some salt pepper garlic and pepareka and it was so good and made the whole house smell great..my boy friend that is not usually happy trying new things tried one and took half mine...I love this web sight..what great products to keep me on track with my diet. I love the loaf of bread also..freeze two slices together in ziplock baggies and then put them back in the silver bag and freeze it all and take out every morning what i need. I got 30 thin slices of bread out of the loaf and have ordered more to make sure i dont run out..Cant wait to try the Pizza crust..
We love the low carb tempura it's amazing! My family was shocked that I was able to make this and it be low carb and so good! I couldn't be more pleased with this product ordering more! Awesome batter! Great on onion rings, cauliflower and chicken nuggets. 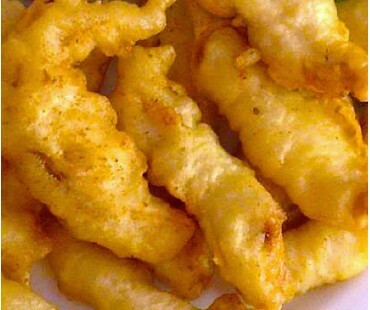 The tempura-battered fried cauliflower is one of my favorites and is a great substitute for potatoes. Remained "crunchy" and we could not tell that it is locarb batter. Have re-ordered and will continue to do so. I live in Israel and had a visiting friend bring this to me. OMG!! I am originally from Louisiana and I have to say between the shrimp and fried chicken I have made, I am hooked! I'll be visiting home in November and plan to bring as many as I can back to Israel ! Fabulous! The best thing I've gotten from LC. 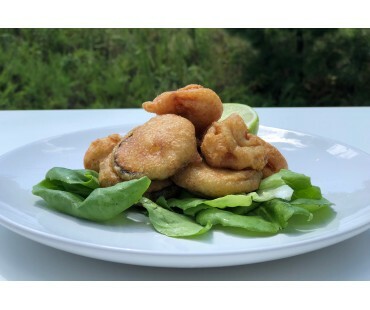 I've tried all the normal tricks to get true breaded seafood (I grew up on fried seafood and need it!!!!) I cooked a dozen fried shrimp (jumbo) which took 5 Tbsp of the tempura mix. The came out wonderfully. Hard to believe they were low carb, I could have passed them off as regular fare with flour and cornmeal coating. With a cocktail sauce of reduced-sugar ketchup, horseradish, tabasco and lemon, I was brought back home again to New Orleans. 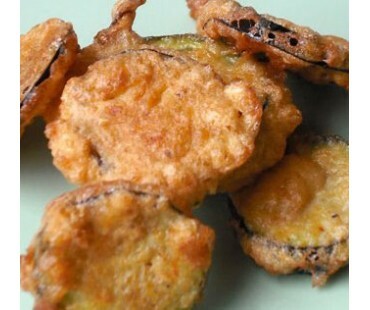 I'm ready to try fried fish, eggplant parmagiana and fried oysters. OK, I do not write reviews. Ever. However, after just finishing my Saturday Splurge Lunch, I had to write. I had a wonderful Veggie Burger on a Low Carb Bun. I've been missing french fries forever ... but decided to go with Onion Rings instead. Used the Tempura Batter for my onion rings and they were absolutely delicious. Next time I'll add more seasoning to the batter and have it alongside a steak and pretend I"m having a blooming onion! Thank you! My grandson declared that your batter mix is "way better" than KFC or any other crispy batter... and I have to agree; love this product!! Un-freaking believably good!!! First time customer, and I cannot believe that I have found my answer for no carb "carbs"!!!! Thank you!! Shipping took literally 1.5 days. Awsome. I have avoided breaded, fried food since going low carb until now. This is batter is outstanding.